Some cars wow on the outside – others impresson the inside – while the 2018 Toyota Corolla has a very beautiful exterior, it’s this compact sedan’s interior game that’s remarkably on point. Check it out here! Our Andy Mohr Toyota team created this guide to the inside of the Toyota Corolla for our drivers in Avon, Plainfield, Indianapolis, and the surrounding Indiana communities. You can either contact us with questions or to set up your exclusive test drive today. Experiencing it first hand is the best way! If you have any further questions about any of these features and systems (including all the ways that the 2018 Toyota Corolla allows you to hook up your compatible smartphone), reach out to our team. Last, but certainly not least, the visual components of the Corolla’s interior are both stylish and sporty. Stylish. Its seamlessly-flowing dashboard features fluid lines, top-of-the-line materials, and well-placed piano-black accents that quickly emerge as the stars of the show—your show. When you combine that with its SofTex®-trimmed seats, you’ve got a cabin that’s impressive to both the eyes and the touch. Sporty. 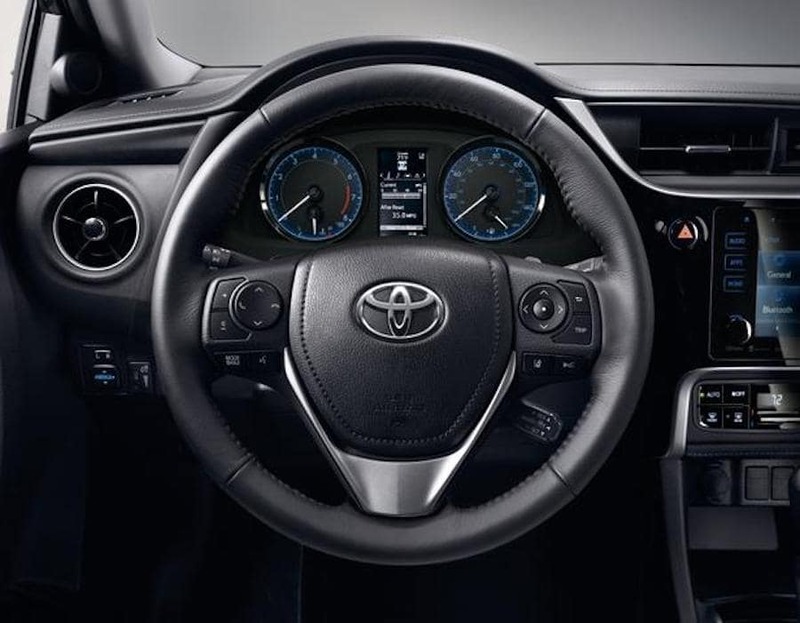 Between its Sport Gauge Cluster (standard on the Corolla SE and the Corolla XSE) and its Paddle Shifters, you’ve got a suite of sporty amenities that are as functional as they are aesthetically pleasing. Convenient. 60/40 Split Rear Seats…Auto Climate Control…need we say any more? Test drive it today! Get in touch with us at Andy Mohr Toyota to experience your Corolla! We’re just a few minutes down the road from Indianapolis, and we’re here to serve the drivers in all the nearby communities—Avon, Plainfield, etc. If you’d like to step inside the 2018 Toyota Corolla soon, contact us. Simply call us, chat with us online, or stop by our Toyota dealership in person to get behind the wheel today.